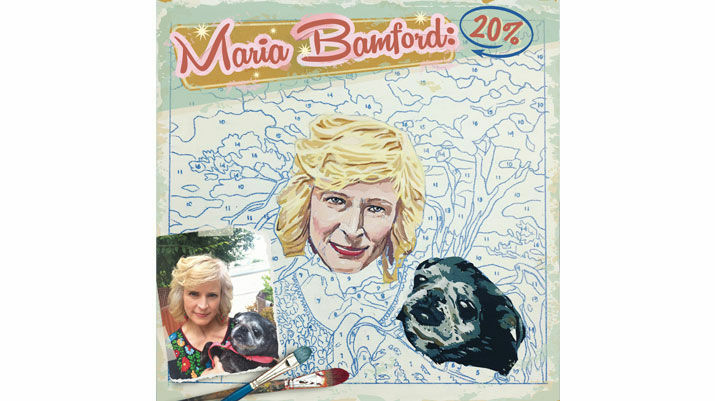 Maria Bamford’s new comedy album 20% is due out digitally on Sept. 24. Being released as a Comedy Central Records Digital Release, 20% will be available on Spotify, Amazon MP3, Google Play, Apple Music and all other streaming and download services. Recorded at UCB Franklin in Los Angeles, Bamford’s latest album reveals how she’s dealing with married life, getting older, being bi-polar, and rebounding from a nervous breakdown. Moments of dark comedy, along with straightforward honesty, bring to life a number of characters in 20%. This is the third Maria Bamford album released with Comedy Central Records, joining the critically acclaimed Ask Me About My New God! and Unwanted Thoughts Syndrome. Currently, Bamford stars in the semi-autobiographical Netflix comedy series Lady Dynamite, which we named one of 2016’s best new shows so far. Bamford was the first female comic to have two half-hour “Comedy Central Presents” specials, and starred alongside Patton Oswalt, Zach Galifianakis and Brian Posehn in the Comedy Central series The Comedians of Comedy and Netflix’s Comedians of Comedy: The Movie. Bamford voices characters on numerous animated series, as well, including BoJack Horseman and Adventure Time, and recurred as DeBrie Bardeaux on Netflix’s Arrested Development reboot. Check out the 20% album art below.